↑U.S. Crane Ship Kearsarge. Test of the ship's 250-ton revolving crane, at the Philadelphia Navy Yard, Pennsylvania, 27 October 1922. 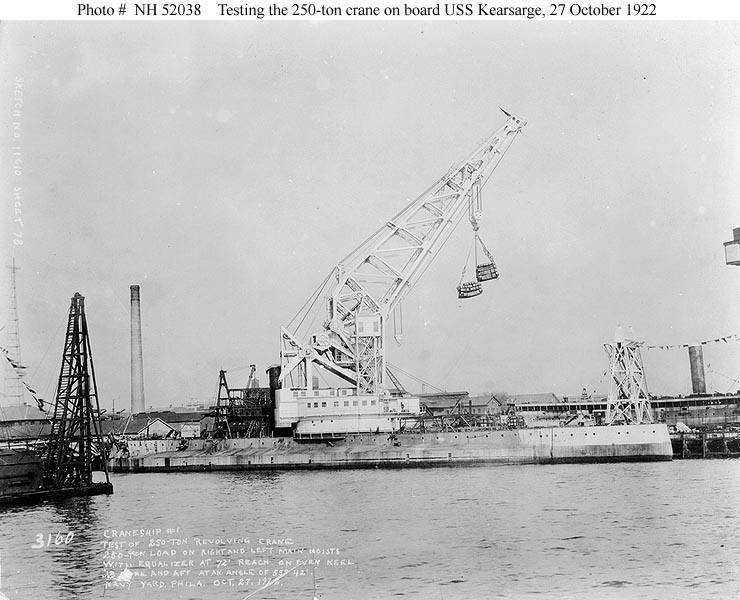 Kearsarge, which was still undergoing conversion at the time (note the incomplete superstructure ahead of the crane) is seen here lifting a 250-ton load on the right and left main hoists with equalizer at 72-foot reach on an even keel. Jib fore and aft at an angle of 53 degrees 42 minutes. Official U.S. Navy Photograph, from the collections of the Naval Historical Center. ↑U.S. Crane Ship Kearsarge. 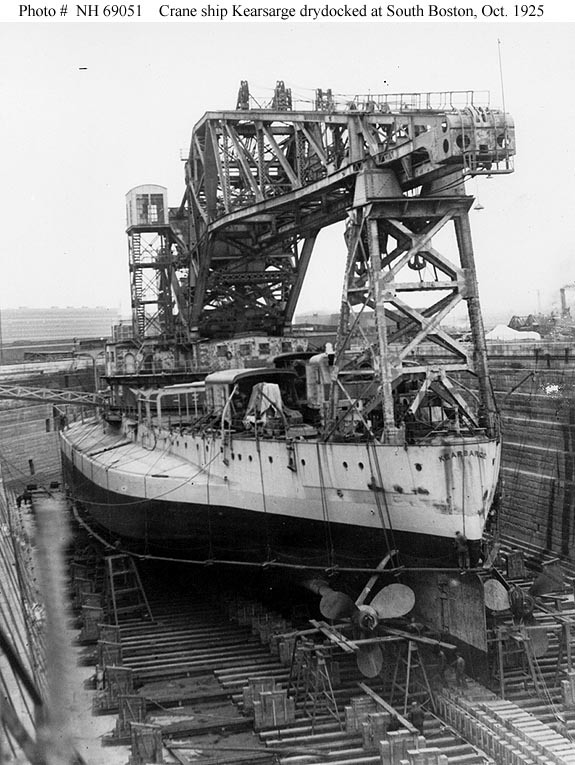 In dry dock at South Boston, Massachusetts, while undergoing repairs on 3 October 1925. Note that her propellers were still fitted at this time. Courtesy of the San Francisco Maritime Museum, San Francisco, California, 1969. U.S. Naval Historical Center Photograph.